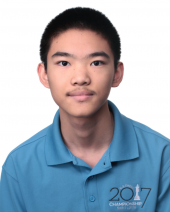 At age 17, Jeffery Xiong already has had an impressive list of results: the 2010 Under-10 North America Continental Champion, a silver medalist in the 2010 Under-10 World Youth Chess Championships, 2013 MVP of the United States Chess League for his perfect record in regular season for the Dallas Destiny, 2015 Chicago Open Champion, and 6th place finish in the strongest U.S. Championship in history (2016), He was recently awarded the 2016 U.S. Outstanding Player Achievement Award by USCF. In 2016 Xiong won the U.S. Closed Junior Championship, and is currently the highest rated player under eighteen years of age in the U.S. and the second highest rated player under eighteen in the world. Xiong recently placed 11th in the 2017 U.S. Chess Championship.